A motorcyclist whizzing by us on the freeway is hard to miss, especially if they aren’t wearing a helmet. On one hand, it looks dangerous, but you may still feel jealous that they’re feeling the wind in their face rather than being stuck inside a car listening to the same five songs on the radio over and over. In reality, how dangerous are motorcycles? 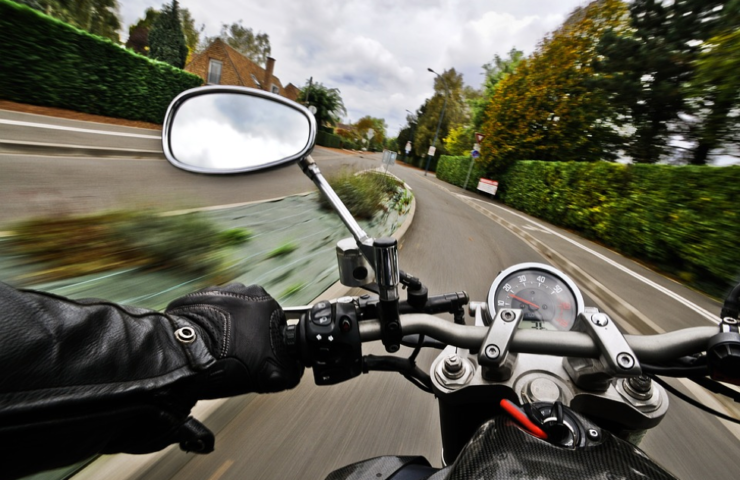 What’s likely to happen if a motorcyclist gets in an accident? Keep reading to find out three key pieces of information about motorcycle accidents and the people involved in them. That’s according to the National Highway Traffic Safety Administration (NHTSA), and it’s based on numbers from 2015. Motorcycles account for three percent of all registered vehicles in the country, but on a per vehicle mile basis, motorcycle fatalities happen 29 times more frequently than passenger car fatalities. That means people drive fewer miles on motorcycles, but they’re way more likely to be killed than someone riding in a sedan or pickup truck. Almost 5,000 motorcyclists were killed in 2015, and the NHTSA says that’s an eight percent increase from 2014. 14 percent of all traffic fatalities can be attributed to motorcycle crashes. The injury rates aren’t quite as startling by comparison, but they’re still not good. The injury rate for people on motorcycles is a little lower than it is for people in passenger cars, but if you go back to measuring accidents based on the number of vehicle miles traveled, then you’ll find that motorcyclists are nearly 5 times are more likely to be hurt. To put it another way, NHTSA reports that just 20 percent of car accidents result in injury or death. For motorcycle accidents, that number soars to 80 percent. Many motorcyclists already knew that much. They’re used to catching people by surprise. It may be fun in some ways, but it’s also very dangerous in others. If you get hit by a car because the driver didn’t see you or didn’t bother to look at you, you could be looking at medical bills in the thousands. Six figures worth of debt is very possible if you sustain injuries that require a long hospital stay. A motorcycle accident lawyer can look at your case and determine if there’s enough cause for a personal injury suit. If a case is filed, you’ll be telling your story several times in front of multiple people, including court reporters in Fort Lauderdale. Court reporters can look intimidating, but they’re nothing more than impartial recorders of court proceedings. This final statistic is also from the NHTSA. It’s impossible to say for sure exactly how many lives were saved by helmet usage, but 1,772 in a year is the agency’s best estimate. Additionally, it thinks an additional 740 people would have survived motorcycle crashes if they had simply worn a helmet. The Centers for Disease Control reports that helmet usage rates increase sharply just after states pass helmet laws. Unfortunately, they also plummet if a state repeals those helmet usage laws. Motorcyclists should wear helmets for the same reason that football players do: to protect their brains. Yes, football players can and do still get concussions, so it’s not a perfect solution, but it’s much better than nothing. A football player can’t go out on the field without a helmet, and motorcyclists shouldn’t go out on the road without one either. Previous ArticleWhen Do You Need a Dental Malpractice Lawyer in Sudbury? Next ArticleDoes a Car Dealership Have to Disclose an Accident?